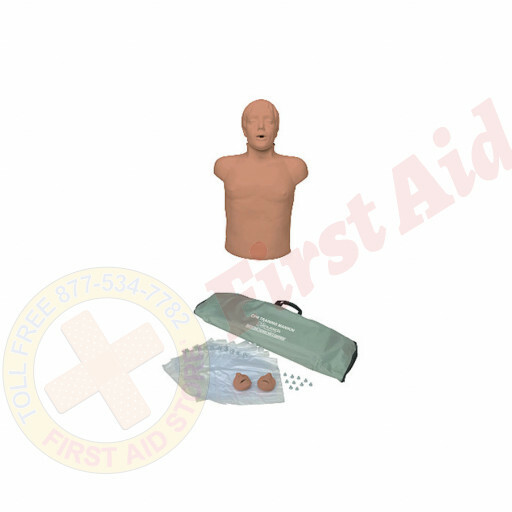 We offer the Brad Ethnic CPR Training mannequin at First Aid Store™… Let Brad help you learn to save a life! The CPR manikin is a brown-skin version of Brad with no sculpted ethnic changes. It offers instructors an opportunity to have a manikin to use for Hispanic, Indian, Malaysian, or other groups of people not represented by our sculpted line of products. It has the landmarks, compression resistance, durability, ease of maintenance, and economy of use that instructors require. Brad Ethnic comes with three mouth pieces, three airway systems, and a carry bag. 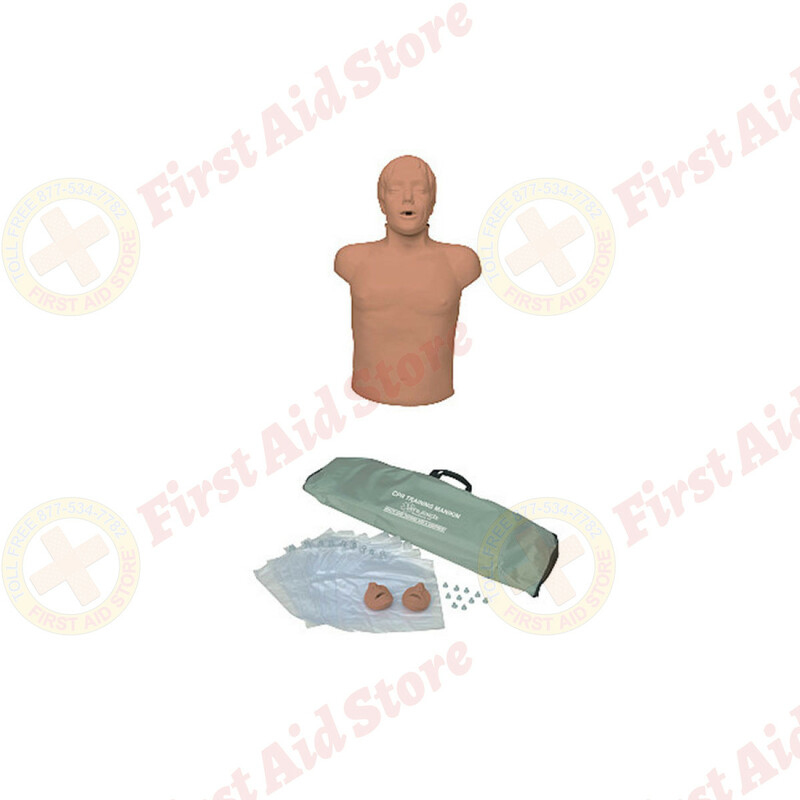 The Simulaids Brad™ Ethnic CPR Training Mannequin.